This bike tour goes to New Jersey via a Ferry ride across the Hudson River. We ride the bikes down the Westside Highway Greenway to the ferry terminal in Lower Manhattan. Cross the river and ride the Jersey Greenway getting spectacular views of Manhattan. 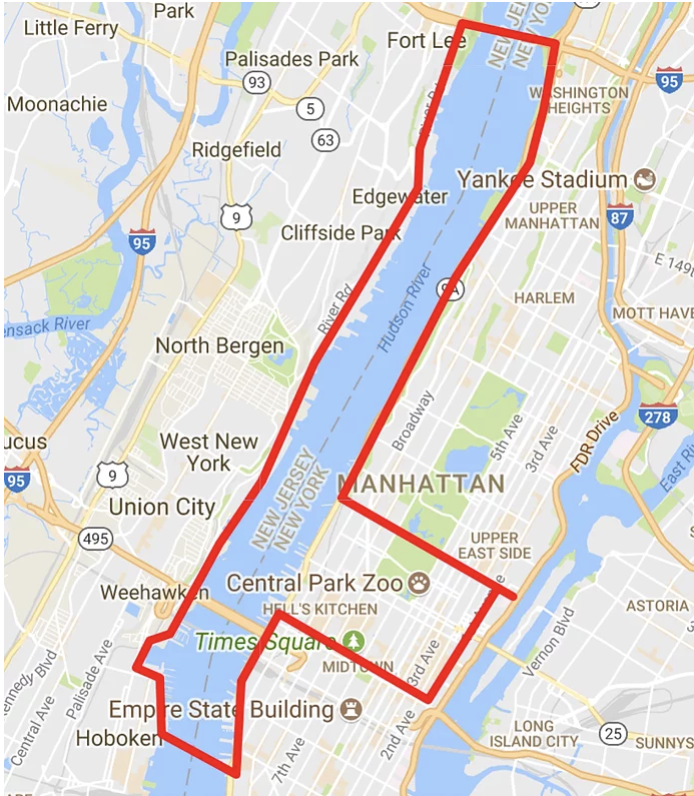 Once we get to Hoboken, we will take the ferry back across the Hudson River into Manhattan then ride the greenway to Battery Park then around to the the Eastside, then back uptown.